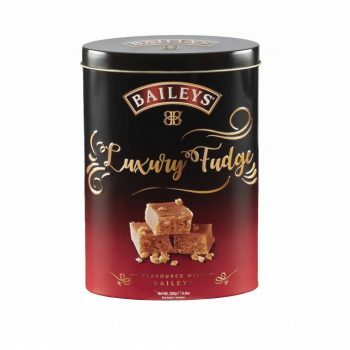 Baileys Luxury Fudge Tin 250gr. 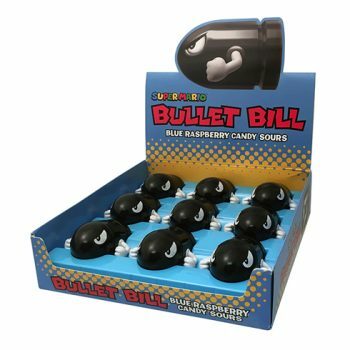 12st. 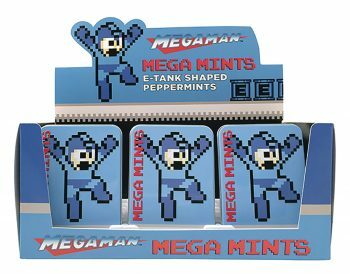 Megaman – Mega Mints 18st. 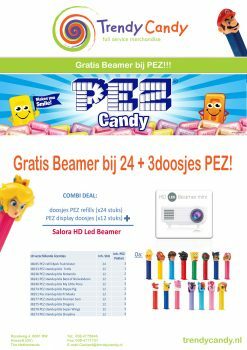 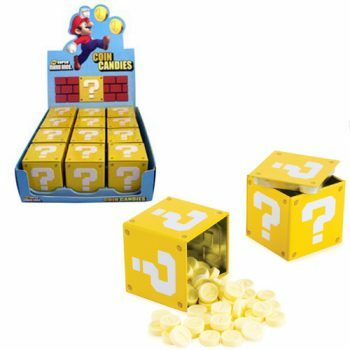 Nintendo – Coin Candies 12st. 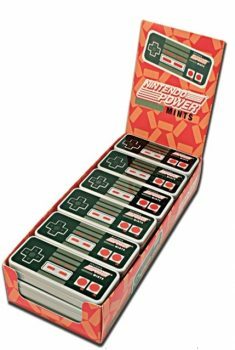 Nintendo – Controller Mints 18st. 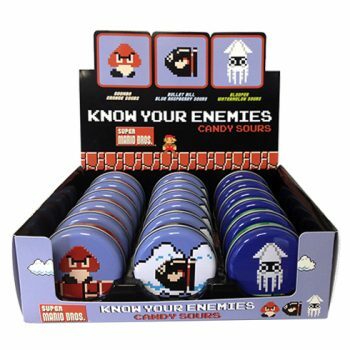 Nintendo – Know Your Enemies 18st. 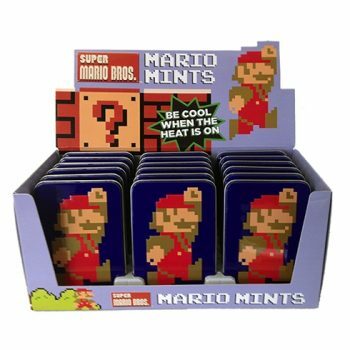 Nintendo – Mario 8-bit Mints 18st. 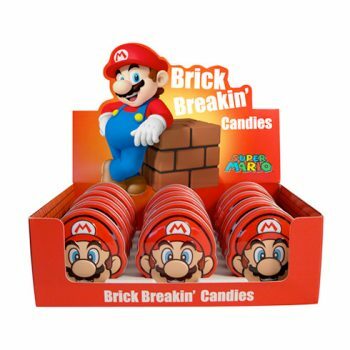 Nintendo – Mario Head Tin Candies 18st. 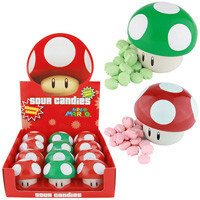 Nintendo – Mushroom Sours 12 st.
Nintendo – Super Mario 8-bit Mints 18st. 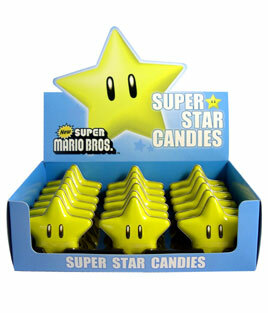 Nintendo – Super Star Candies 18st. 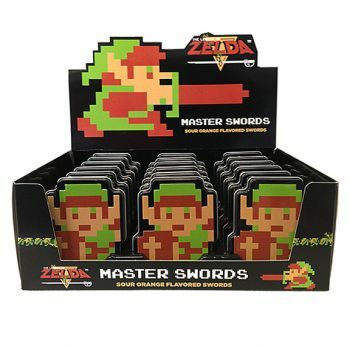 Nintendo – Zelda Master Swords 18st. 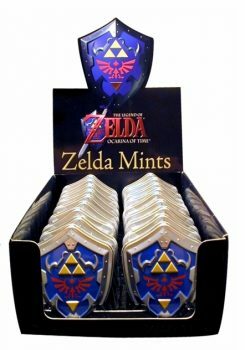 Nintendo – Zelda Mints 18st. 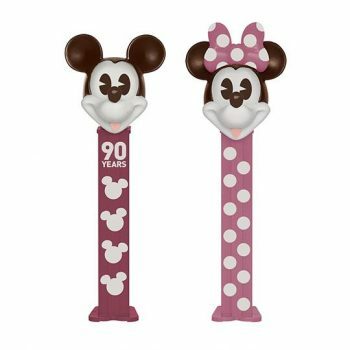 PEZ – Mickey 90th Birthday 12st. 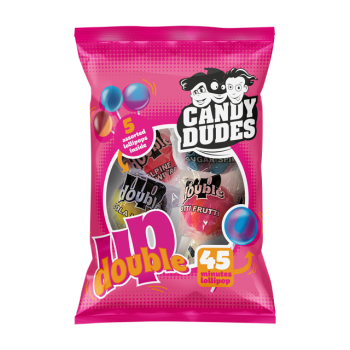 TC Candy Jars – Snoeppotten!